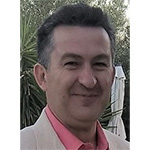 Panagiotis is a passionate entrepreneur and competent business developer, with the strong desire to commercialize and drive innovative scientific solutions. The variety of his challenges and dares experienced during his 30-year long and most enjoyable career journey includes an exciting military and naval career in Hellenic Navy combined with a transition to research, academia, technology, and entrepreneurship. Panagiotis assumed key leading roles in Hellenic Navy and Ministry of Defense, during his 26-year most exciting navy career. Panagiotis is competent in international defense procurements and business development. He has also, created and managed 2 start-ups, and he has had active involvement in more than 10 R&D projects. Panagiotis completed his PhD, in Chemical Engineering School, National Technical University of Athens (NTUA), in 2012. Prior, he completed a Masters in “Disaster Medicine and Crisis Management with Specialization in Organization and Management”, National & Kapodistrean University of Athens, in 2010, where he gained a distinction. In 2006, he was honored with a full scholarship from ALBA Graduate Business School in MBA in Shipping, graduating in 2009. In 1985, he joined Hellenic Naval Academy, graduating in 1989 as a Naval Engineer Officer. 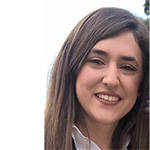 Mellianeta is a passionate and talented, and most creative chemical engineer graduating from National Technical University of Athens, gaining a special distinction and academic awards. Currently is also a PhD candidate in NTUA. Her research started 3 years ago during her diploma thesis entitled “Development of microalgal origin innovative replacers of animal fat and proteins for the production of functional baked products” involving the design and optimization of microalgal physical processes such as extraction, drying , encapsulation and the development of innovative food products that are characterized by advanced quality, nutritional and sensory characteristics. She has participated in many research projects funded by the European Commission and General Secretariat of Research and Technology in Greece, targeting in the exploitation of microalgae and their extractions. She has also publications in international peer-reviewed journals, while she has collaborated with Greek food industries in order to promote the use of microalgae in food products. Christina is a competent and most innovative chemical engineer. She holds a MSc and Diploma in Chemical Engineering from National Technical University of Athens. Concurrently with her R&D work with KPAD, she is conducting her most promising a PhD Research, sponsored by Eugenides Foundation and she has awarded prestigious academic distinctions for her achievements and published work. Her research focuses on extraction and characterization of bioactive compounds, and on encapsulation processes (such as electrospinning/ electrospraying process, spray drying, freeze drying process). She has participated in Greece-Israel Bilateral R&T Cooperation 2013-2015, “Microalgae Sustainable Valorization for the Development of Innovative Functional Fruit Juices and Beverages”. Anna has a varied work experience, where she combines her artistic background and skills with her project management capacity. 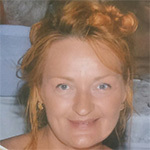 Anna has involved in numerous and complex projects, dealing with fine arts, interior design and project management work. In KPAD, Anna has contributed and practiced her diverse talents to deliver outstanding results in challenging projects. Anna with her dynamic figure and character is adding significant value to KPAD and leading KPAD’s drive to maturity and commercial success. Anna holds a diploma of School of Fine Arts, University of Arts, Belgrade, Serbia. Katerina is a passionate, enthusiastic and highly motivated person, where she combines her leadership and mentoring skills and talents to formulate KPAD strategy and inspire our people and stakeholders to deliver sustainable success. 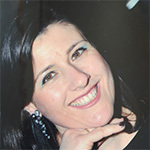 Katerina has more than 10 years of experience in the fast growing International Food and Agribusiness industry and is a renowned figure and expert in UK market. 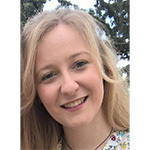 Katerina holds a Master of Science in Quality Management, Universities of Glasgow Paisley and Robert Gordon Aberdeen and a Degree in Statistics & Insurance Sciences, University of Piraeus – Greece. 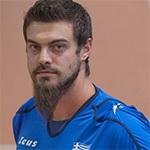 Nikolaos has been a professional volleyball player winning several titles both domestic and international. He is a member of the national volleyball team of Greece in all its categories (junior, youth, senior) with appearances in some of the major volleyball competitions such as World League, European League, and Champions League. Nikolaos is a graduate student of the Department of Marketing and Communication of the Athens University of Economics and Business with experience in Innovation Design Thinking in Mobile Applications and Services. Nikolaos is bringing to KPAD team his champion spirit and enthusiasm and he instils his tenaciousness to build a victorious and winning entrepreneurial team. Despoina is a visionary businesswoman and environmental campaigner, who have the vision and goal to bring innovation to market place. There are many business endeavors that she has involved, other with success and others with failure, however, every step she has taken in business world her inspiration is to bring science to consumers’ world. Despoina in KPAD brings her wisdom and insight from business to inspire and mentor KPAD’s young talents to create and brings innovation solutions to our valued customers and consumers. Despoina holds a degree for Business Administration from Athens Economic University.